In the summer of 2007, British pub rock crooner Nick Lowe appeared on The David Letterman Show promoting his delightfully sardonic coming-of-AARP-age album, At My Age. Letterman introduced him not by holding up Lowe's compact disc but, instead, the cover of his LP record. Letterman quipped, "You'll need a really, really big CD player to hear this disc." There may have been some watching who 'got' the gag. But there were, in fact, many who would not have known what an LP record even was. Little more than a month after the release of Lowe's album, his fellow Englishman, Michael Jackson, the beer and whisky writer, died. Since that time —a short year and a half later— many drinkers have only just discovered the beauties of good beer. But, as with the non-relationship of music fans with vinyl records, many of these new good beer discoverers may never have heard of Mr. Jackson (except if confusing him with the pop singer); and many of these may never have read his books. Their numbers will only swell as the years move on. Why should they get to know Michael Jackson? A man who doesn’t care about the beer he drinks may as well not care about the bread he eats. Beer may have been man’s staple diet before bread was invented, and these two staffs of life are as comparable as they are closely related. Today, 27 March 2008, would have been Michael Jackson's 67th birthday. 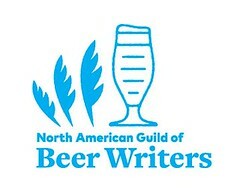 In his honor, there are international toasts planned in Chicago with Lucy Saunders (The BeerCook) and Julie Johnson (All About Beer), at International Whisky Week in the Netherlands with Carol Smagalski (The Beer Fox), and in London with Ian Buxton (Classic Expressions). Two more are scheduled afterward: in Vienna with Conrad Seidl at WhiskyWeisse on 3/29 and with John Hansell (Malt Advocate) at WhiskyFest on 4/1 in Chicago. fans of legendary beer writer Michael Jackson will gather in Chicago to toast the anniversary of his birth, on March 27, and celebrate the launch of a new book of essays entitled Beer Hunter, Whisky Chaser. The party begins at Delilah’s, 2771 N. Lincoln Ave., Chicago, at 4 PM, and the toast to Michael Jackson will be at 7 PM CST. The book is the brainchild of Ian Buxton, past Group Marketing Director of The Glenmorangie Distillery Co, and creator of the Whiskipedia. He asked for and received contributions from a dozen writers: Stephen Beaumont, Julie Bradford, Dave Broom, John Hansell, Charles MacLean, Hans Offringa, F. Paul Pacult, Roger Protz, Lucy Saunders, Conrad Seidl, Gavin D. Smith, and Carolyn Smagalski. Except for one piece, all the contributions are about beer and whisky rather than about Michael Jackson. 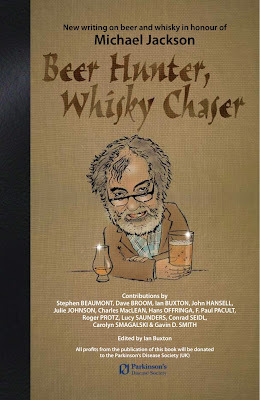 Michael was was not the first writer on either beer or whisky; arguably, he was not the finest, but he was indisputably the most influential. 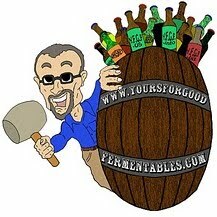 Lucy Saunders contributed a piece about the evolution of cooking with beer. Dutch author Hans Offringa composed an original short story for the book. Carolyn Smagalski has written the exception: a gorgeous and personal recollection of Michael, her personal Michael. All too soon, the White Rose of Yorkshire segued into his next rite of passage. Our lips lay parched, and we thirst for more. Yesterday, a bartender asked me what he should read to learn more about beer. "Anything by Michael Jackson," I answered without hesitation. "Michael Jackson wrote poetry; others write words." Jackson was suffering from Parkinson's Disease at his death. The Parkinson's Disease Society in the U.K. is a beneficiary of the proceeds from the sale of the book. 1) Lucy Saunders reports from the Chicago observance that "we had an excellent time - lots of toasting - and the folks at beerables.net sold books which Julie Johnson and I signed - fun and a good benefit for Parkinson's. The London launch party has a video posted at singlemalt.tv". 2) The book's editor Ian Buxton comments, below. Thanks for this post and book review. The book is available on Amazon and also direct from www.classicexpressions.co.uk That way the most money goes to the charity in Michael's name.